Hundreds of youngsters in Kent have been encouraged by specialists from a national housebuilder to consider apprenticeships in the industry. 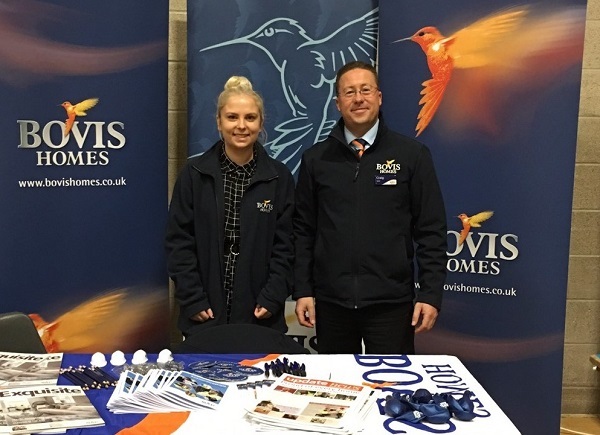 Staff at Bovis Homes attended a 600 pupil-strong Apprenticeship Fair in Maidstone to talk about the different roles at the housebuilder, the day-to-day activities carried out in housebuilding and the different routes to enter the industry. 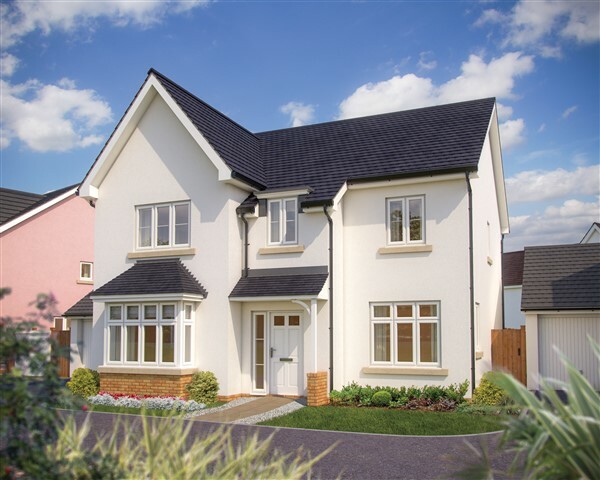 Housebuilder brings brand-new range to Filton! A leading housebuilder has brought its brand-new range to Filton, giving local home hunters the opportunity to buy a property created for modern living and designed with input from customers around the country. 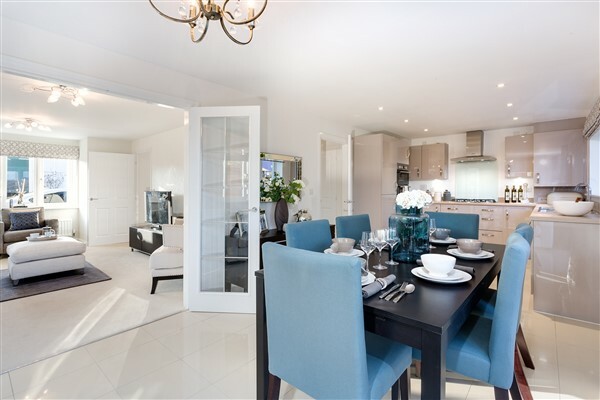 Bovis Homes has unveiled its new mix of two, three and four-bedroom properties at its Charlton Hayes location and it has already proved popular among home buyers. 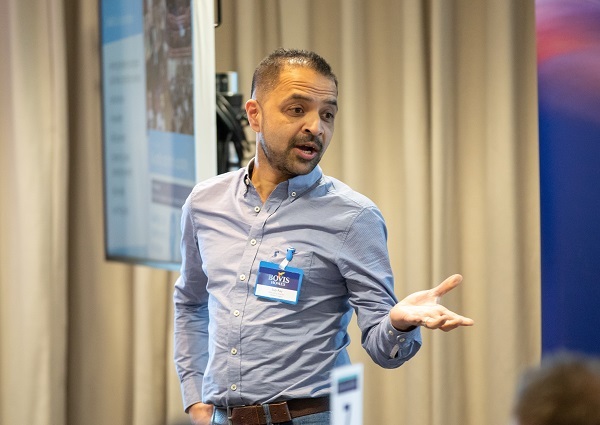 An apprentice at a national housebuilder in Cambridge is urging schools to help bridge an industry skills gaps by teaching more young people about alternative routes into employment. 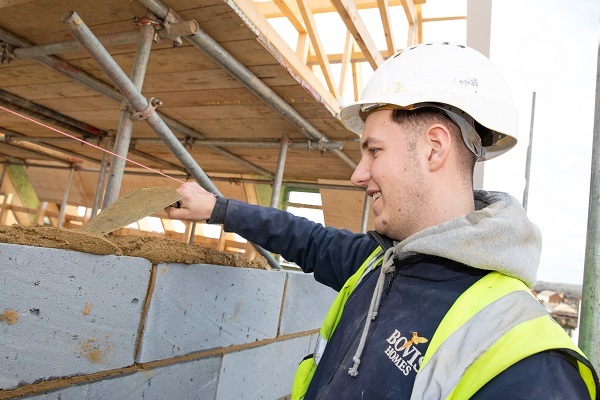 Patrick Deloughery, 18, a bricklaying apprentice at Bovis Homes, is calling for more career guidance on apprenticeships to be offered at schools, to encourage more pupils to pick up construction trades. 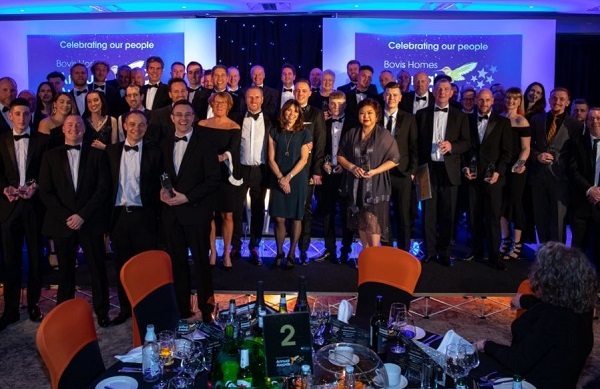 Talented employees at a national housebuilder have been celebrated at a special awards ceremony for their stand-out performances that contributed towards a great year delivering quality new homes across the country. Greg Fitzgerald, chief executive at Bovis Homes, praised the hard work of staff across the business, making special mention of the site managers and apprentices, whom he described as the lifeblood of the industry. A local housebuilder has made moving to an exciting new Hampshire neighbourhood so much easier, thanks to a variety of offers which could save buyers thousands. 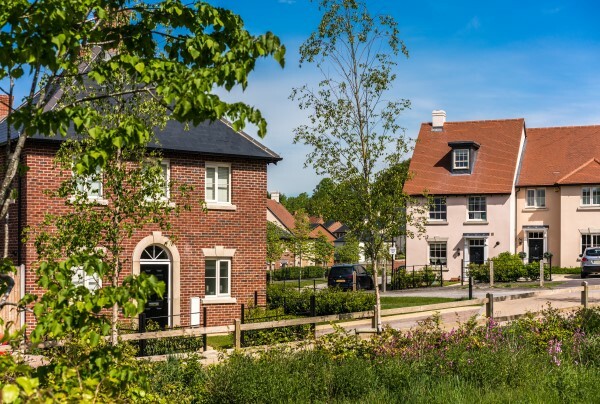 Bovis Homes’ popular Winchester Village location offers a range of exclusive three, four and five-bedroom homes, each carefully-designed by local architect Huw Thomas. For a limited time, buyers can benefit as the housebuilder is giving away a range of offers, including a full stamp-duty-paid deal. A popular Hampshire location, which has welcomed many new residents over the last couple of years, is now nearing completion – and home seekers need to act fast to secure their dream home there. 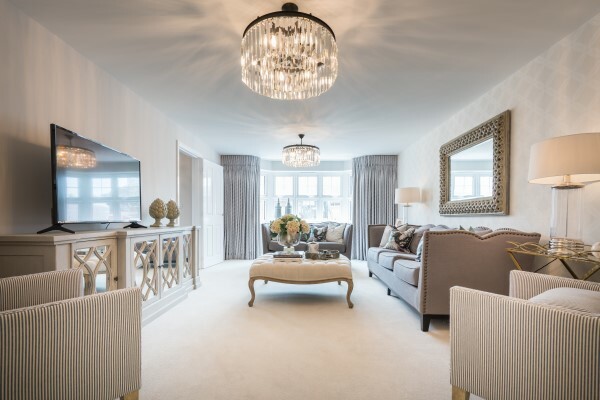 Bovis Homes’ Nightingale View has only three remaining properties available to buy, and to celebrate the final residents arriving at this new part of the community, the housebuilder is offering potential purchasers some great extras. 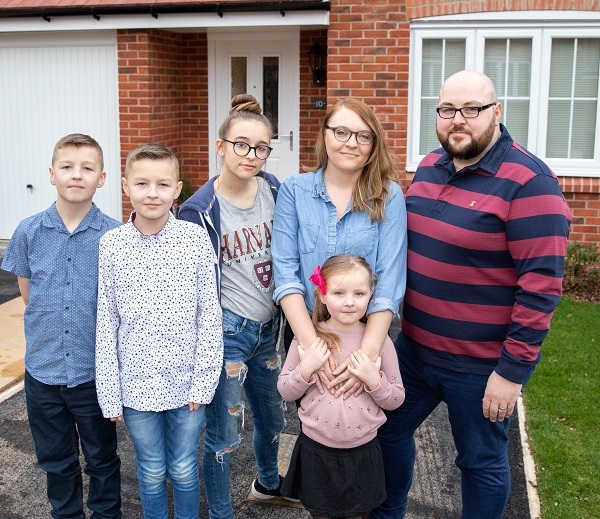 A father-of-four in Redditch is hailing a Government-scheme designed to help buyers up or onto the housing market after purchasing his first property and opening the door to the perfect family environment. 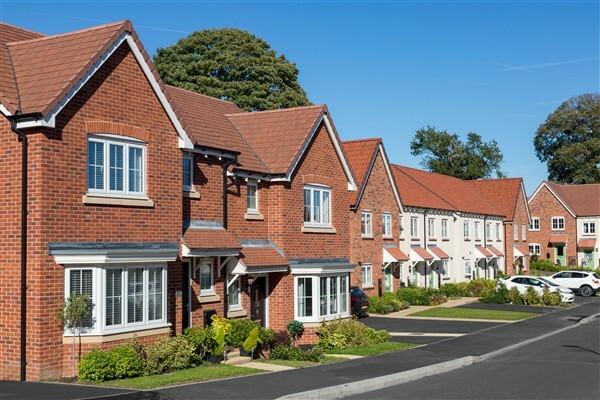 Jack Horton says life couldn’t be better after using the Help to Buy – Equity Loan scheme, which is exclusive to new-build homes and available to both first-time buyers and current home owners, to move into Bovis Homes’ Millwood Meadows location. House hunters attended a VIP launch event - complete with red carpet – to reserve homes at a national housebuilder’s new Warwickshire location. Potential buyers, who had already registered their interest in the very impressive properties being built at Bovis Homes’ Furrowfields location in Bishop’s Itchington, enjoyed Champagne and canapes at a special event held at nearby Semele Park development in Radford Semele. 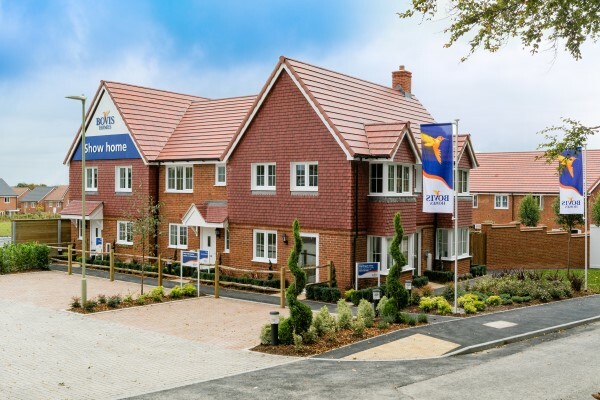 A popular West Sussex new-build location, which has welcomed many residents over the last couple of years, is now nearing completion – and home seekers need to act fast to secure their dream home there. Bovis Homes’ Hampton Park has only three remaining properties available to buy, which means that this is the last chance to benefit from the new-build quality and special purchase packages available at this flourishing new part of the Littlehampton community. Owen McKemsley, 17, from Prestbury in Gloucestershire, has undertaken a week's work experience at Bovis Homes. 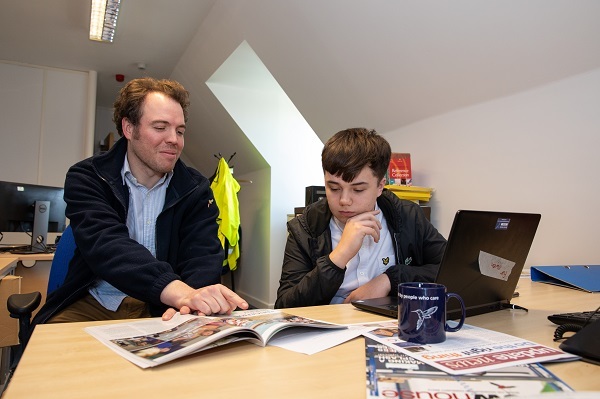 Owen, who attends Cleeve School, spent time in the Marketing and Graphics departments at the housebuilder's Western region headquarters in Bishop's Cleeve, as well as with the sales and build teams out on site. 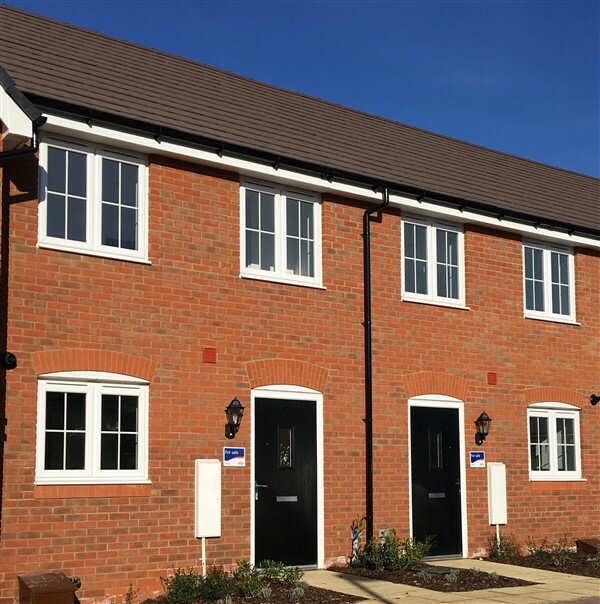 A brand-new house type, which has been named after a Bedfordshire town, has attracted a lot of interest in the local housing market, and home hunters who select the popular design will now be able to benefit from a range of extras. Named after the town they are built in, Bovis Homes’ carefully-designed Flitwick house type is exclusive to the housebuilder’s Froghall Fields location, and has become a popular choice for those looking to get on the property ladder. A Somerset church garden will be blooming this spring thanks to support from a local housebuilder. 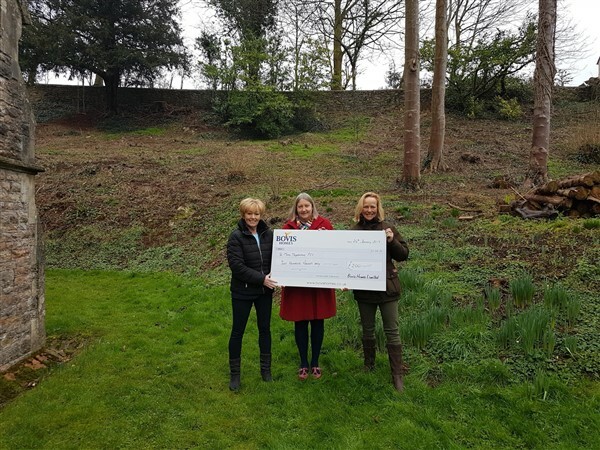 Bovis Homes has given £200 to St Mary Magdalene Church in Wookey Hole to help transform its outside space into a community garden. The boss of a national housebuilder’s operations in the West is urging more diversity in the industry, as he works on launching a new housing range and six brand-new developments in the region. 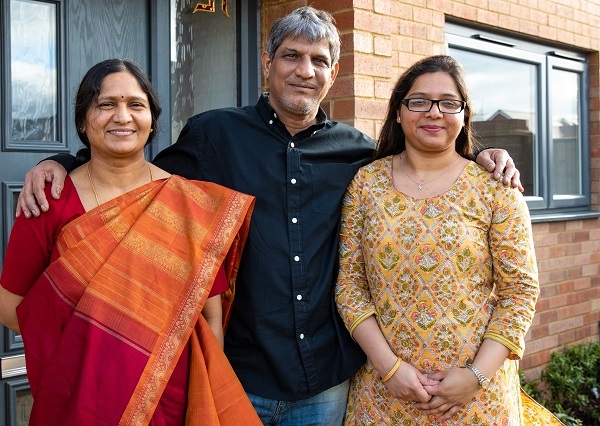 Supriya Ray, managing director of Bovis Homes’ Western region, is looking to encourage more women and candidates from minority ethnic backgrounds to apply for senior roles across sites and offices. 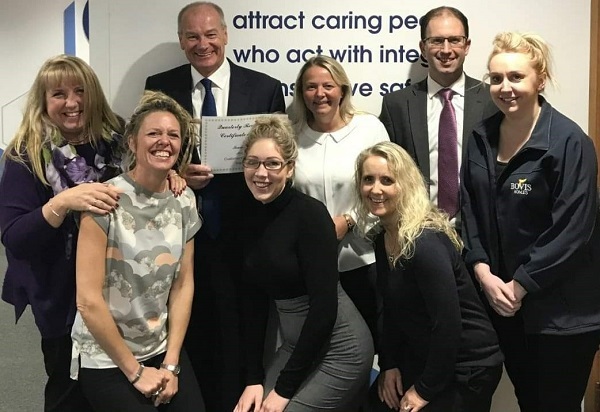 A newly promoted customer care champion at a Basingstoke-based national housebuilder, who has grown her team by almost 20 in one-and-a-half years, is urging more women to apply for management roles in the industry. 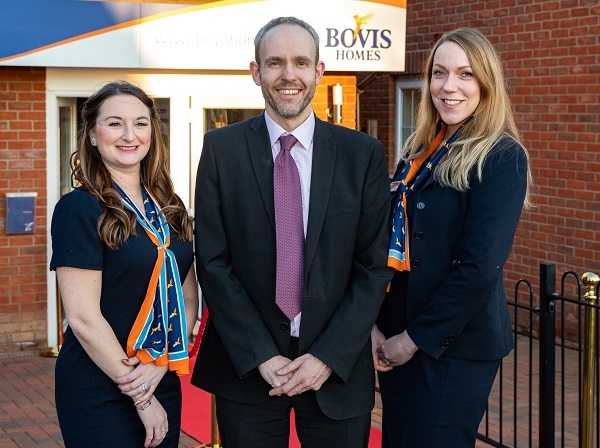 Tracey Jones, regional customer care director at Bovis Homes, who was the first member of a new Southern Counties regional team less than two years ago, said that there is more to do for equality in the housing sector, but that Bovis Homes was leading the way in redressing the balance. 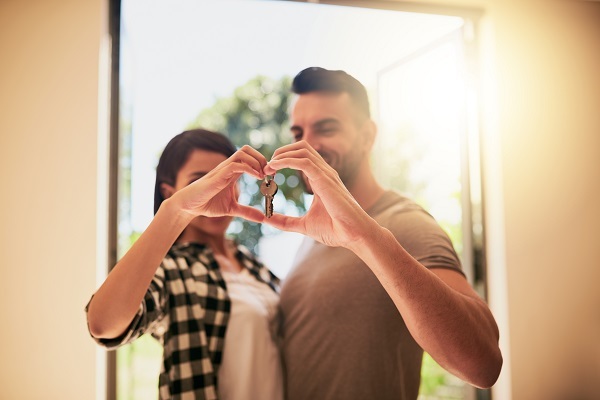 Home hunters are being invited to a national housebuilder’s special Valentine’s events this weekend, where they can indulge in some luxurious treats while finding their dream property. Couples, families and single buyers alike can enjoy Prosecco and fine chocolates across Bovis Homes’ West Midlands region, while knowledgeable sales advisors find them their perfect match. An adventurer from Teignmouth, who works at a national housebuilder based in Exeter, hopes Bear Grylls’ tips will come to his aid as he treks the Sahara to raise money for the charity that helped his brother. 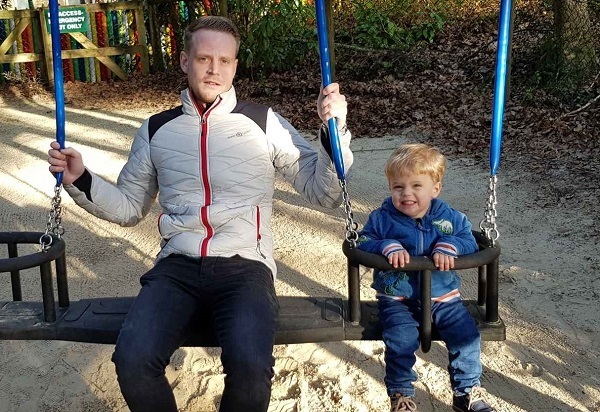 James Phillips, land manager at Bovis Homes, is embarking on an eight-day hike of the Moroccan Sahara, to collect donations for Bliss, which looks after the families of premature and sick babies. A former bricklaying apprentice now leading a major new-build development near Botley has said young people are the life-blood of the housing industry and should be aiming to become the site managers of the future. 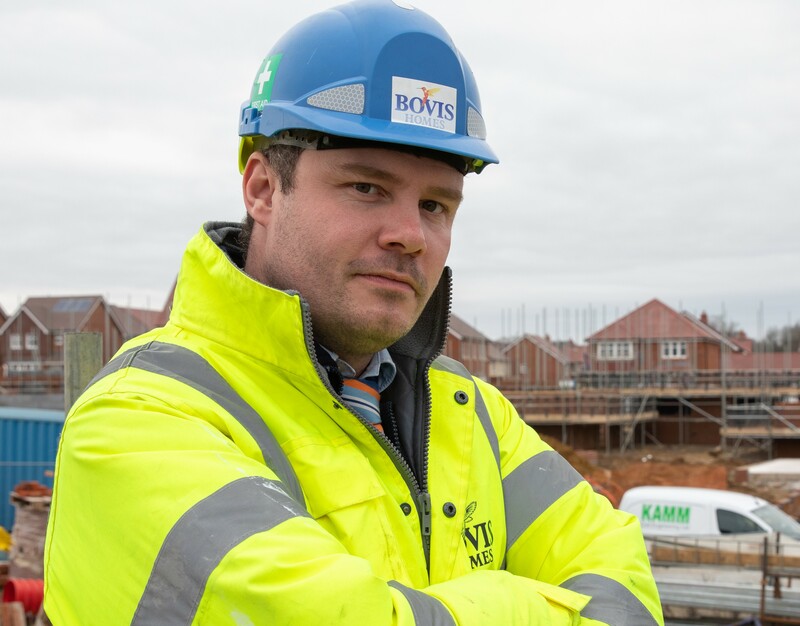 James Berry, 33, site manager at Bovis Homes’ Boorley Park location, on Winchester Road in Boorley Green, said the opportunities were there for apprentices and that passion and commitment would help take them to the top. House hunters who fall in love with a Bovis Home in its Southern Counties region over Valentine’s week will be able to benefit from a bundle of pulse-racing extras, saving them thousands of pounds. 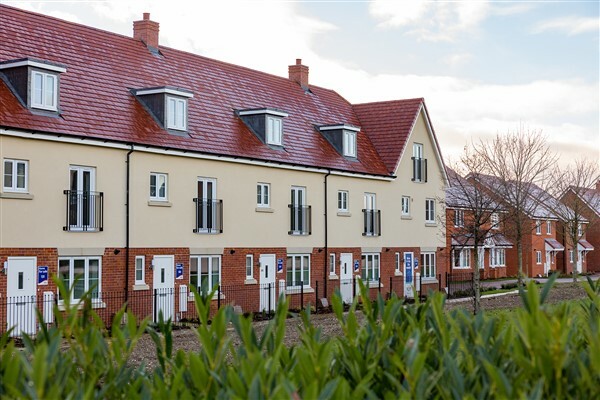 Bovis Homes Southern Counties will be giving away the package of extras to those who reserve from Monday 11th February until Sunday 17th February, and during that time they will also be able to reserve their new home for just £99. 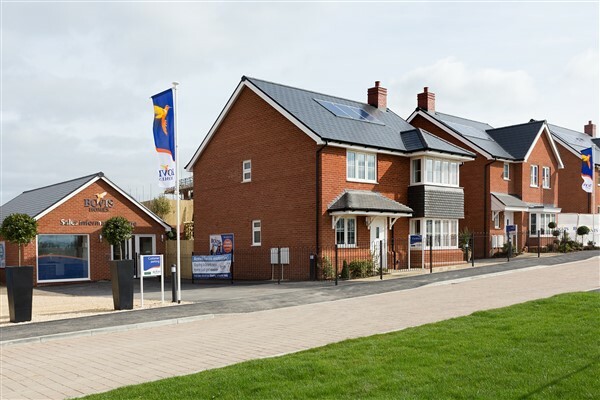 Shropshire house hunters will be able to view properties from Bovis Homes’ brand-new range as it launches two new show homes at its Haygate Fields location in Wellington. As well as being among the first show homes from the new collection to open in the country, the properties will also include an array of exciting features to demonstrate how smart technology can be used at home. Site manager Steve Wood joined Bovis Homes’ Hampton Lea location in Malpas, Cheshire in the summer. 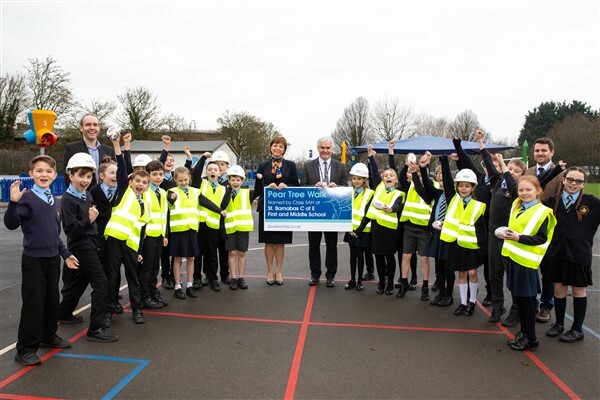 A young class of pupils are celebrating after winning a competition to name a new homes location opposite their Worcestershire school.